This is He who came by water and blood—Jesus Christ; not by the water only but by the water and the blood. And the Spirit is the one who testifies, because the Spirit is the truth.7 For there are three that testify: 8 the Spirit and the water and the blood; and these three agree. Reflection: John reports in his Gospel that when the Roman soldier lanced the Lord’s side, “…and at once there came out blood and water.” (St. John 19: 34) The text does not say something “like” water and blood issued forth but actual water and blood. Earlier in John’s Gospel, in our Lord’s conversation with Nicodemus, John 3, He taught him and us saying, “Jesus answered, “Truly, truly, I say to you, unless one is born of water and the Spirit, he cannot enter the kingdom of God.“ This refers to Holy Baptism. After the Lord feeds the 5,000 men, and women and children, He taught, John 6: “I am the living bread that came down from heaven. If anyone eats of this bread, he will live forever. And the bread that I will give for the life of the world is my flesh.” In Matthew, Mark and Luke, in the night in which He betrayed, Jesus taught His chosen disciples: This is My Body over the bread and over the cup, This is My Blood. In the Gospels this is practically the only time the Lord links His Crucifixion with the forgiveness of sins is in the Words in Institution: “…for this is my blood of the covenant, which is poured out for many for the forgiveness of sins.” (St. Matthew 26: 28) The Apostle Paul reiterates the same Words of Institution in 1 Corinthians 11. The water and the blood are Holy Baptism and Holy Communion. The Holy Spirit’s proper and good work is to teach Jesus Christ and the Holy Spirit. Like a good teacher, He uses means, the Word and the Sacraments are His power point pointing us to Jesus said and did. So, as it is written, all three testify in the unity of the three, as it is written in 1 John, today’s epistle reading, so that we believe. The Word became flesh. The sacraments are, if you will, His delivery system for the quickening of faith, hope and love. Baptism and Communion are the means of grace, His means of grace. He comes to us in actual water and wine and bread, all part of His good creation, with His Word promised and incorporated and comprehended in the water, wine and bread. Man is unity of body and soul and will be raised as such, even as Jesus Christ rose body and soul. The reason He gives us Himself in Holy Communion is “bodies do not believe and souls do not eat” (Rev. Hermann Sasse). Why does the Lord do such? As C. S. Lewis wrote, God likes matter, after all He created it (see Genesis 1!). Anyone who talks about “spirituality” divorced from creation is preaching and teaching the devil’s air (cf.Ephesians 2:2). True spirituality is Holy Spirit-uality, as today’s Epistle reading eloquently states. Life has come, with life for all. “If anyone receives the Christian faith and does not turn his ears away from the preaching of the Gospel, let him see what nature hung pierced with nails on the wooden cross; and when the side of the Crucified was opened by the soldier’s spear, let him understand from what that blood and water flowed so that the Church of God might be watered from the font and from the cup. Let him hear also the blessed apostle Peter, proclaiming that the sanctification of the Spirit takes place through the sprinkling of Christ’s blood (1 Peter 1:2). And let him not read cursorily the same apostle’s words when he says, ‘Knowing that you were ransomed from the futile ways inherited from your forefathers, not with perishable things such as silver or gold, but with the precious blood of Christ, like that of a lamb without blemish or spot’ (1 Peter 1:18-19). Let him not resist also the witness of the blessed apostle John, who says, ‘The blood of Jesus His Son cleanses us from all sin‘ (1 John 1:7). And again, ‘This is the victory that has overcome the world—our faith. Who is it that overcomes the world except the one who believes that Jesus is the Son of God? This is He who came by water and blood—Jesus Christ; not by the water only but by the water and the blood. And the Spirit is the one who testifies, because the Spirit is the truth. For there are three that testify: the Spirit and the water and the blood; and these three agree’ (1 John 5:4-8). 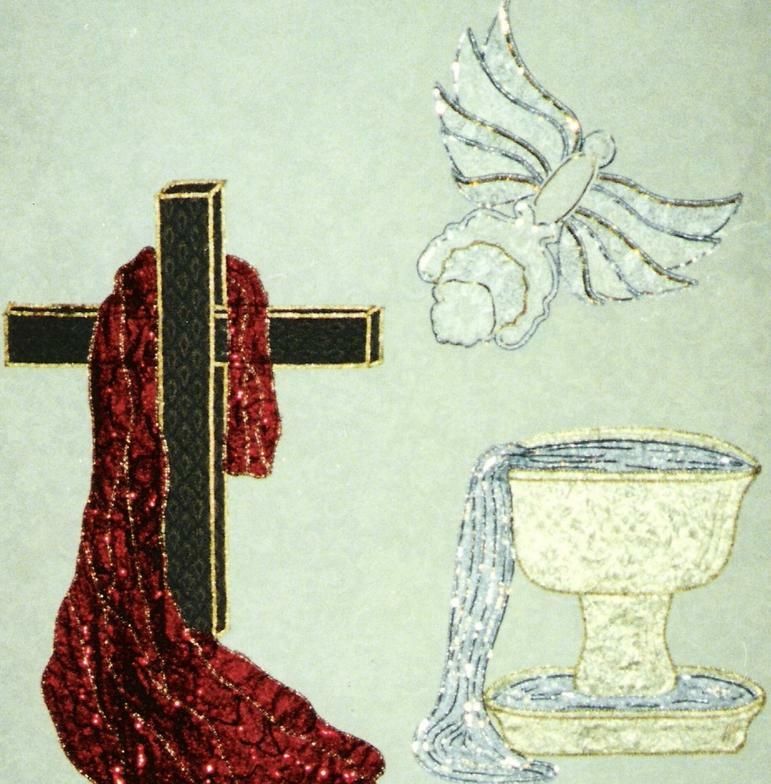 The Spirit, that is, of sanctification, and the blood of redemption, and the water of Baptism, because the three are one; they remain undivided, and not one of them is separated from this connection. The Church catholic lives and advances in this faith, that in Christ Jesus we do not believe in the humanity without the true divinity, nor in the divinity without the true humanity” (Leo the Great, The Tome, 5).